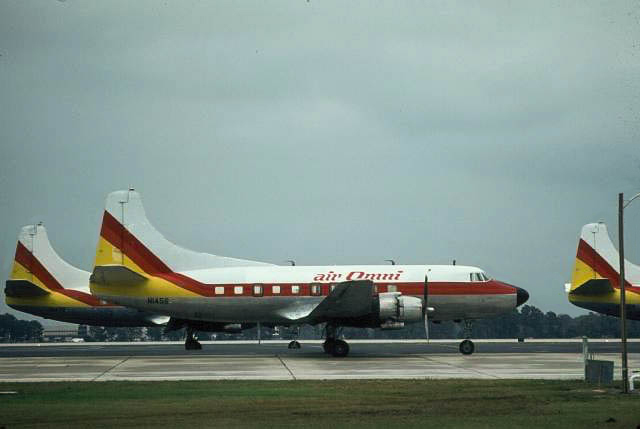 An airline that was never to be, Air Omni was the name of a proposed carrier that would have resulted from a merger of Florida Airlines and Marco Island Airways. Even though the merger was never finalized, Air Omni titles were applied to several of Florida's planes. Below: Martin 404 N145S wearing Air Omni titles. 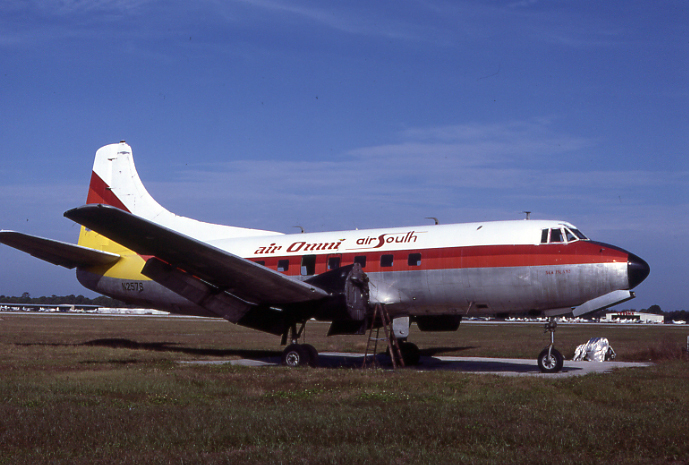 Former Air South Martin 404 N257S "Sea Island" wearing Air Omni titles.